Chocolate Hazelnut Crunch is the flavor of this cake. 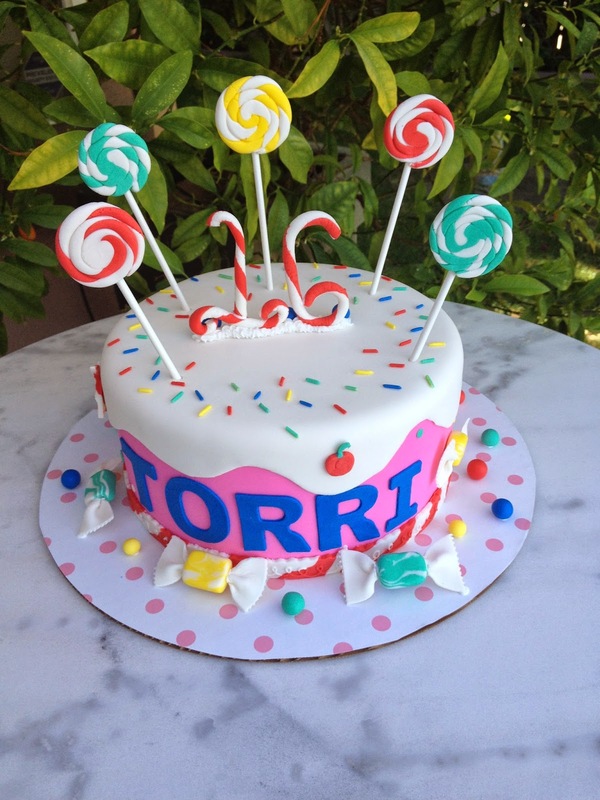 Sweet 16 with a candy theme. This was a fun cake to make and even though small 8" there is a lot going on and it took quite a bit of time to make. I even made the sprinkles on top and had to individually adhere them to the cake.